Welcome to the ACLP Women’s Health SIG! The Women’s Health SIG meets every year at the ACLP annual meeting. We urge all professionals in the field of C-L psychiatry interested in women’s health to attend our SIG meetings and presentations at the meeting, and we welcome new members and their participation in our discussions. Provide a forum for exchange of ideas and address the challenges at the interface of women’s health and psychosomatic medicine. Our listserv is restricted to SIG members only, but we welcome all interested professionals to attend our meetings. Provide education and training in women’s health for psychosomatic medicine psychiatrists, general psychiatrists, and non-psychiatric health care providers. Our SIG-developed and presented scientific sessions at ACLP annual meetings help to meet this goal. Provide quarterly annotations on recent journal articles relevant to women’s mental health. See the “Women’s Health” category of ACLP’s Quarterly Annotations on Journal Articles of Interest. Contribute to the list of important articles and books in the “Women’s Health” category of ACLP’s CLP Bibliography. The Women’s Health SIG gathered in-person on Thursday morning of the conference. Our SIG meetings typically include discussions of potential topics for presentation at future annual meetings, and current collaborative endeavors among SIG members. View the minutes of our 2018 meeting [PDF]. On Wednesday afternoon, members of the SIG presented the half-day skills course Updates in Perinatal Psychiatry: Negotiating Clinical Challenges in a Rapidly Evolving Field. On Thursday, Friday, and Saturday, six general sessions and eight posters on women’s mental health issues were presented by SIG members. Ted Stern, MD, FACLP, editor-in-chief of Psychosomatics, presented the 2018 Dorfman Best Case Report award to authors Christina Wichman, DO, FACLP (center), and Rebecca Bauer, MD. Nancy Byatt, DO, FACLP, and founding member of the SIG, received the 2017 Don R. Lipsitt Award for Achievement in Integrated and Collaborative Care at the 2017 Annual Meeting. She presented her Lipsitt Award workshop, From Research to Action: Using Science to Inform Maternal Health-Related Public Policy, on Friday afternoon of the meeting. In 2016, Dr. Byatt served as a visiting professor to Seattle’s University of Washington, having received one of three 2016 Visiting Professor Awards. 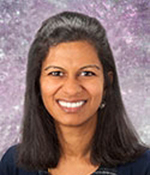 Neeta Shenai, MD, was awarded a fellowship for 2016-17 in the Academy’s Webb Fellowship Program. Dr. Shenai presented the paper Traumatic Births: Developing a Screening Tool for Postpartum PTSD at the 2017 Annual Meeting. Amritha Bhat, MD, was a 2015-16 Webb Fellow and presented the paper Delivering Perinatal Depression Care in a Rural Obstetric Setting: A Pilot Study at the 2016 Annual Meeting. 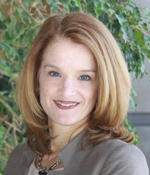 Kimberly Yonkers, MD, won the 2015 Wayne Katon Research Award recognizing exceptional research and clinical work in the psycopathology in the medically ill.
SIG founder Nehama Dresner, MD, FACLP, was the 2003 winner of the Academy’s Alan Stoudemire Award for Innovation and Excellence in PM Education for her work in “Training OB/Gyn Residents in Women’s Mental Health: A Program Review,” which she presented at the 2003 Annual Meeting. For current and past presentations by the SIG and SIG members, see Presentations on a separate page. CLP Bibliography, particularly the Women’s Health section (ACLP member login required). Quarterly Annotations on Journal Articles of Interest. Women’s Health is usually one of the subspecialties included. The goal of MCPAP is to improve access to treatment for children with behavioral health needs and their families by making child psychiatry services accessible to primary care providers across Massachusetts. In the May-June 2016 issue of Psychosomatics, SIG members Priya Gopalan, MD, and Pierre Azzam, MD, wrote a Letter to the Editor encouraging ACLP SIGs to use the journal’s Letters to the Editor feature to provide practical updates in research, policy, and clinical practice to the at-large readership of Psychosomatics. In subsequent issues, the Women’s Health SIG has written three letters, and the ACLP Neuropsychiatry SIG has accepted the idea and has written one letter so far. Listed below are Gopalan and Azzam’s initial letter and the three subsequent WMH letters. Recent Psychiatric Times articles authored by SIG members are below. Currently in progress is another article, “Neuroendocrine Dysregulation in the PCOS, PMDD, and Perimenopause,” being lead by Dr. Janna Gordon-Elliott. The Women’s Health SIG lunch table at the annual meeting offers informal networking with new and old colleagues. We welcome professionals focused on women’s mental health—from medical students to seasoned clinicians and researchers—to join our SIG and participate in our listserv discussions and in-person meetings, to collaborate on projects and publications, to connect with others interested in this special field, and to receive and provide support to fellow members. To join the SIG, ACLP members need only edit their ACLP member profile. Non-members need to send an email to the Academy executive office. For details, see How to Join a SIG.